Growing up we always had at least two cartons of Pecan Sandies in our house at all times. My entire family loved them, but no one loved them as much as me. 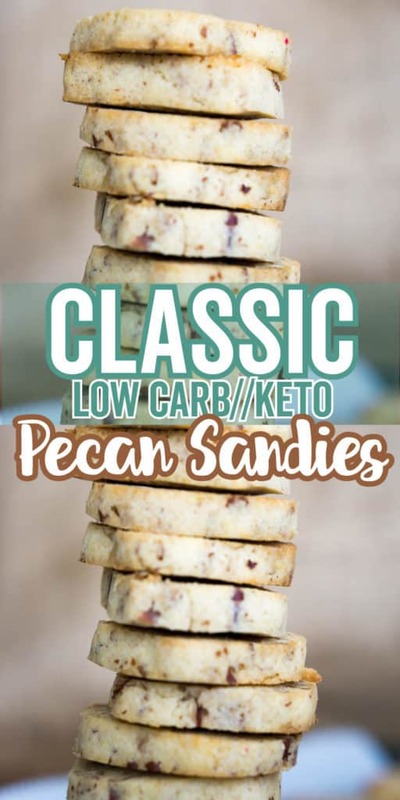 It seemed unfair that just because we were keto we couldn't enjoy the simple flavors of a pecan sandie, so I made these Keto Shortbread Cookies with Pecans to remind you of the good old shortbread cookie days! Unfortunately, I can't personally eat them because I am allergic to almond flour, but knowing that they are out in the world for others to enjoy brings me the same enjoyment of eating them. What Makes This An Easy Cookie Recipe? Well, if I can be honest for a second, I think all cookies are easy to make and the result is always well worth any effort of the preparation. These cookies, however, make use of the freezer to harden the dough making for an easy cookie cutting process. These cookies also don't spread in the oven, so you slice the dough, place on a baking sheet and bake. They are fool proof and turn out perfect every time! 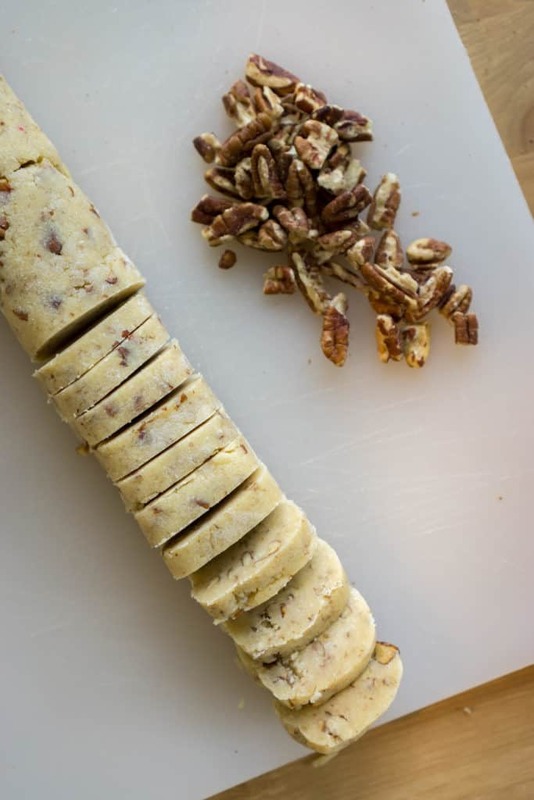 The shortbread dough is also a great base for your preferred add-ins if you aren't a fan of pecans. Nuts, spices, seeds and even berries would work great. Low carb cookies are always a hit because everyone loves cookies! Some may prefer hard and crunchy, while others prefer soft and chewy, but not to worry because we've got everyone covered with our cookie reicpes. Are you a crunchy cookie lover? 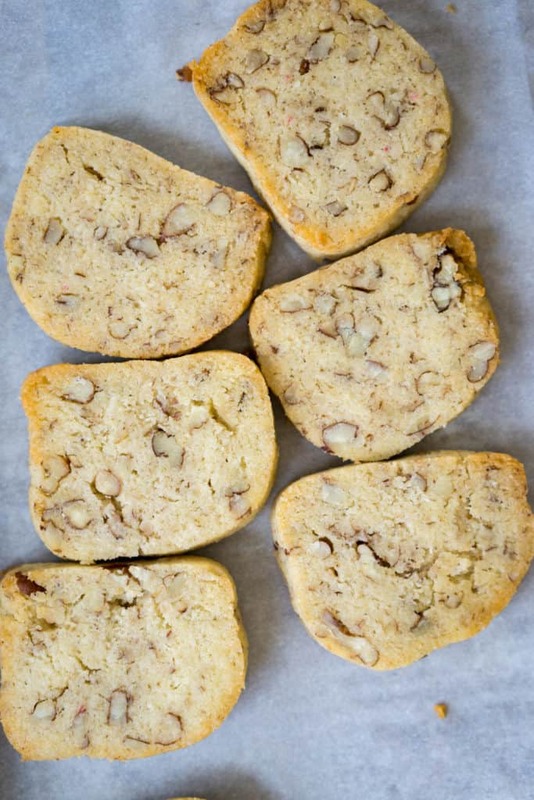 Try our almond flour chocolate chip cookies or maple macadamia nut cookies! Are you a chewy or soft cookie lover? Make our chewy coconut flour chocolate chip cookies or our keto carrot cake cookies! We've got plenty of more cookie recipes on our food blog so don't feel limited to the four listed above. The holidays alway seem to spring up on us so be cookie prepared this year! What I think is the best part about these cookies is how simple they are. They are legitimately an anytime or any holiday cookie. No matter what you are celebrating or if you are simply taking them to your sons baseball game or having a night in with the family, these are the perfect cookies to make! 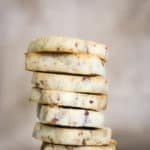 You never need a reason to eat shortbread cookies, but you always have a reason to bake, so make these Keto Shortbread Cookies and let us know what you think! 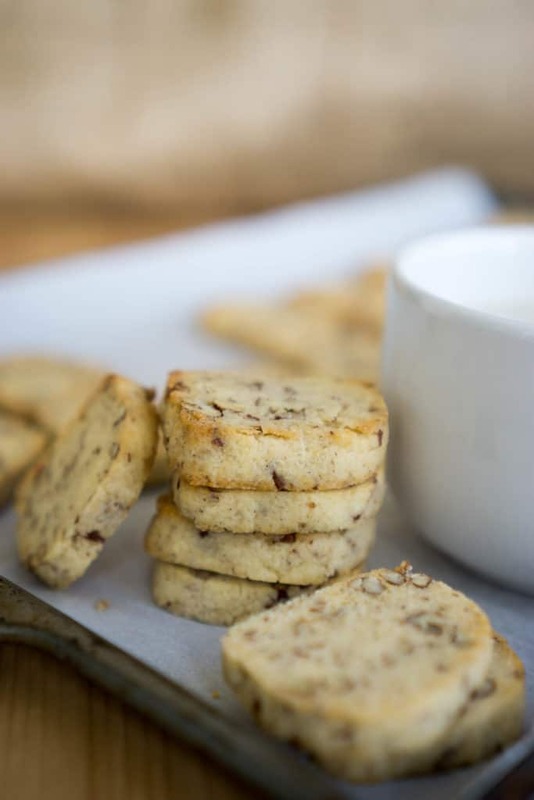 Recipe can be quickly added to MyFitnessPal - Search "KetoConnect - Keto Shortbread Cookies"
In a large bowl combine the melted butter, vanilla extract and half the dry ingredient mixture. Combine using a hand mixer. Add the egg and combine. Add the rest of the dry mixture and mix one last time. In a zip top bag crush the pecans to desired size and fold them into the shortbread batter, dispersing evenly. Place the entire mixture onto a piece of parchment paper and form a rectangular log using your hands. Roll the log up in the parchment paper and freeze for 30 minutes. Bake for 15 minutes, until golden brown on the edges. Allow them to cool for 20 minutes prior to handeling or they will fall apart. Enjoy! Store in a zip top bag in the fridge up to 10 days or in the freezer up to 1 month.